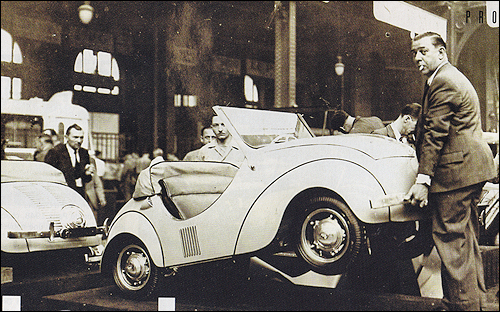 As early as 1945, the idea of ​​creating a tiny car was announced by engineer Robert de Rovin who, along with his brother Raoul, had already been passionate about motorcycles and cyclecars since the 1920s. 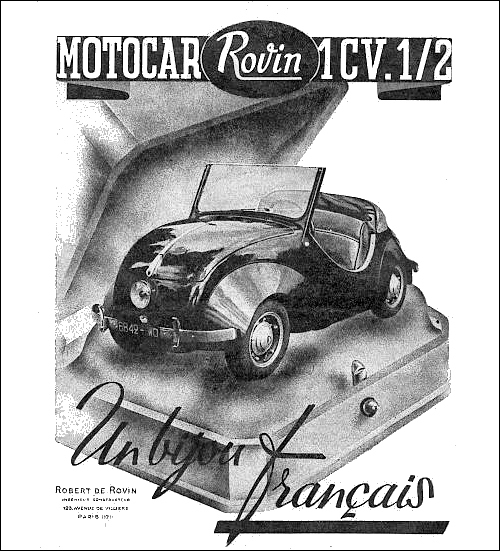 In 1927, the Monocar Rovin 500 cc was considered one of the best sports carts in its class. 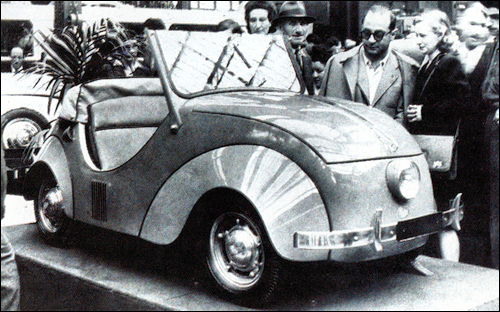 The new "motocar" Type D1 appeared during the summer of 1946. This cheap two-seater with a single headlight has a single-cylinder four-stroke air cooled engine located at the rear. Exhibited in several copies at the Salon of 1946. Robert de Rovin wraz ze swoim bratem Raoulem budował motocykle i małe samochody już w latach 20 i 30. Teraz założył firmę Robert de Rovin w St. Denis pod Paryżem. Podczas Salonu Samochodowego w Paryżu zaprezentował prototyp Rovin D z charakterystycznym, pojedynczym reflektorem przednim. Rovin D na Salonie Paryskim. The Rovin at Paris Motor Show.